If you’re headed south for the winter, just purchased or sold a vessel or just moving it from one marina to the next, Ship Your Boat Now’s nationwide boat shipping services can save you time, unnecessary wear on your vehicle, and much more. We pride ourselves on how effective our Boat shipping and transporting services are. We make sure our clients are satisfied from the moment we put their vessel on our transport vehicle to the moment it reaches its final destination. Let us bring your ship to port in a quick and efficient manner! Ship Your Boat Now also handles all manner of boat transport services both overseas and internationally. Our marine logistics network is active worldwide in all major ports of call and many others. 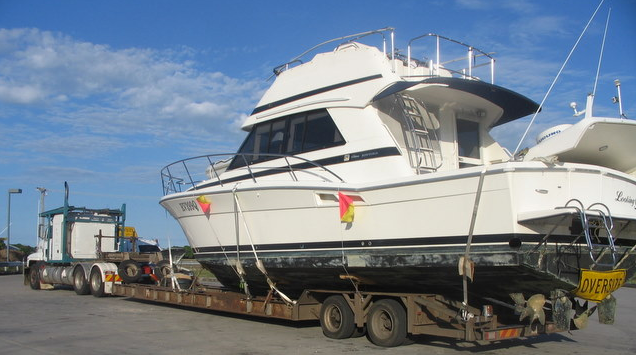 No matter the size or destination, we are experienced and equipped boat shipping professionals who will get your vessel to its destination in a safe, timely, and cost-effective fashion. Fill out our simple quote request form or just pick up the phone and give us a shout. We’re easy to talk to and can get your quote out to you in no time at all. Fair Winds and Following Seas!